Let’s start with some good news: the figures released for the Singapore economy on Monday are mostly positive. The economy grew by 1.5% in the 4th quarter of 2012 over the same period in 2011, beating the consensus of 1.1%. International trade is also on the rise, with total external trade up 1.1% in 2012. Inflation, on the other hand, was lower than expected in January (at just 3.6% over the year before), helped by a dip in oil prices. These figures have allowed the government to be cautiously positive for 2013, with its growth forecast between 1% and 3%. IE Singapore, the statutory board promoting international trade, forecasts an increase in trade of 3-5% for the year. On paper, it appears that Singapore’s macro economy is secure for the near future. Having said that, there are also some slightly troubling developments. 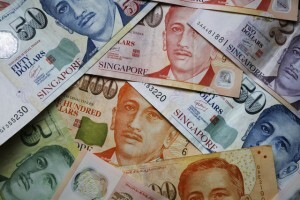 The 2013 budget was released on Monday, and the government forecasts a surplus of SGD 2.4 billion. That sounds positive, but the means through which the additional revenue is raised may cause a bit of consternation amongst business people. The new budget introduced more extensive measures to limit the number of foreign workers, including levies on low-skilled workers, cuts in quotas, and stricter qualifications for passes and work permits. For many companies that rely extensively on foreigners, this doesn’t bode well. A Bloomberg report quoted Max Lee, a managing director of a local engineering firm as saying that the tighter restrictions are “really killing a lot of businesses.” Lee also said his wage costs have increased by 15 percent in the past year, while competitiveness and productivity have both gone down. Some businesses in the service industry may find it difficult to adapt to the new rules surrounding foreign labour. Some business owners believe it may lead to the closure of businesses that need staff for roles that Singaporeans aren’t willing to take up. The silver lining in this turn of events is that white collar positions have not been subjected to the more stringent regulations. So for those looking to Singapore to engage in more human capital-intensive businesses, the situation hasn’t really changed. We still believe that incorporating a company in Singapore represents one of the best moves you can make for operating an international business. Personal Income Tax (PIT) – Up to $1,500 rebate for FY2013. Singapore remains an efficient jurisdiction for operating a business. Singapore, along with Hong Kong, provides corporations with relatively low corporate & personal tax rates along with government incentives to encourage businesses. It will be interesting to see what is offered in the upcoming Hong Kong budget.